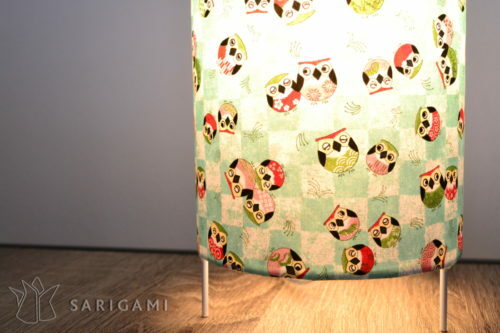 A unique lamp for a kid’s room. 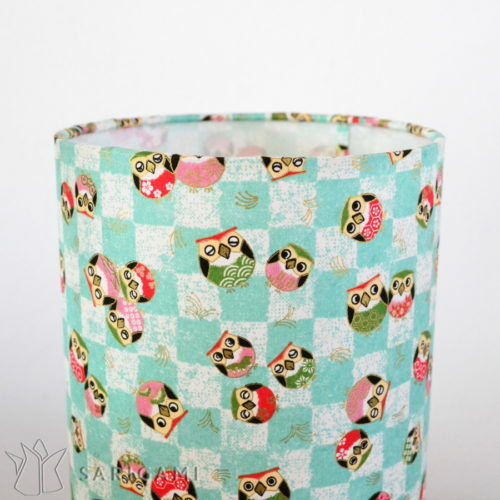 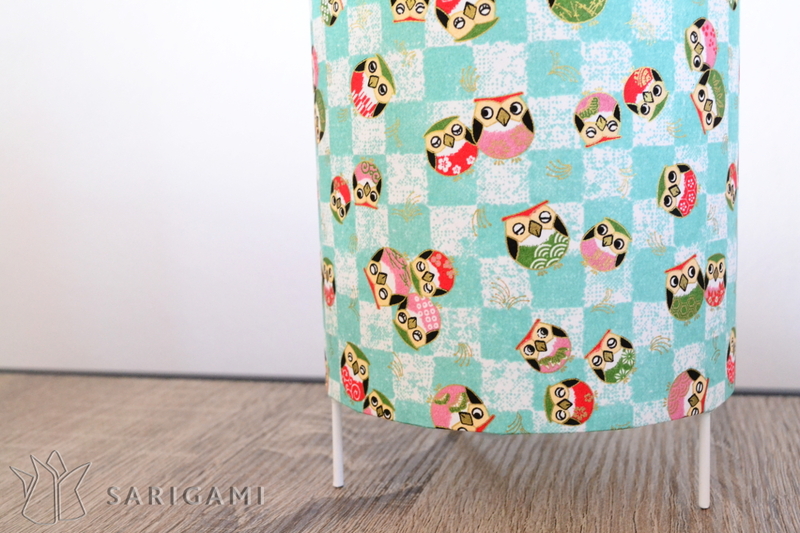 Handmade with paper decorated with cute owl. 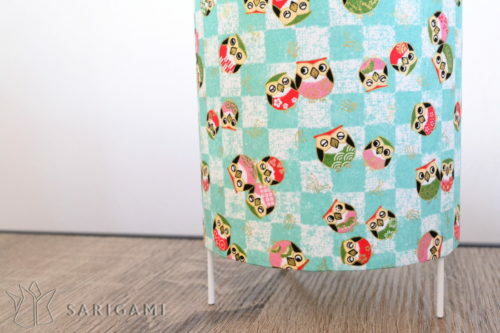 A washi japanese paper decorated with owls on a squared background in green and white. The paper is hung on a special material made to protect from the bulb heat. 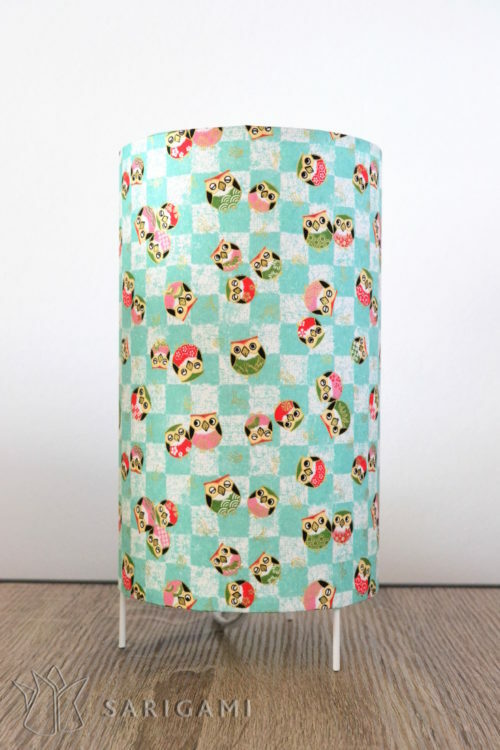 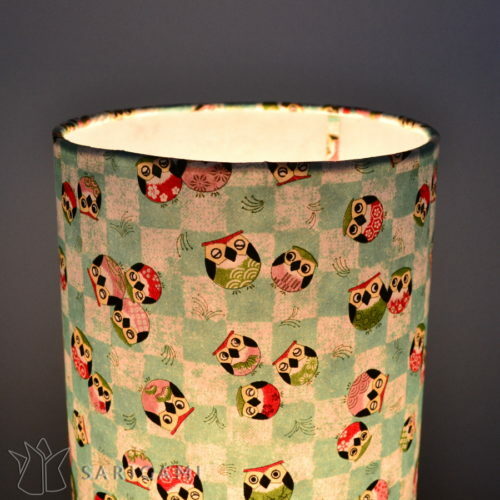 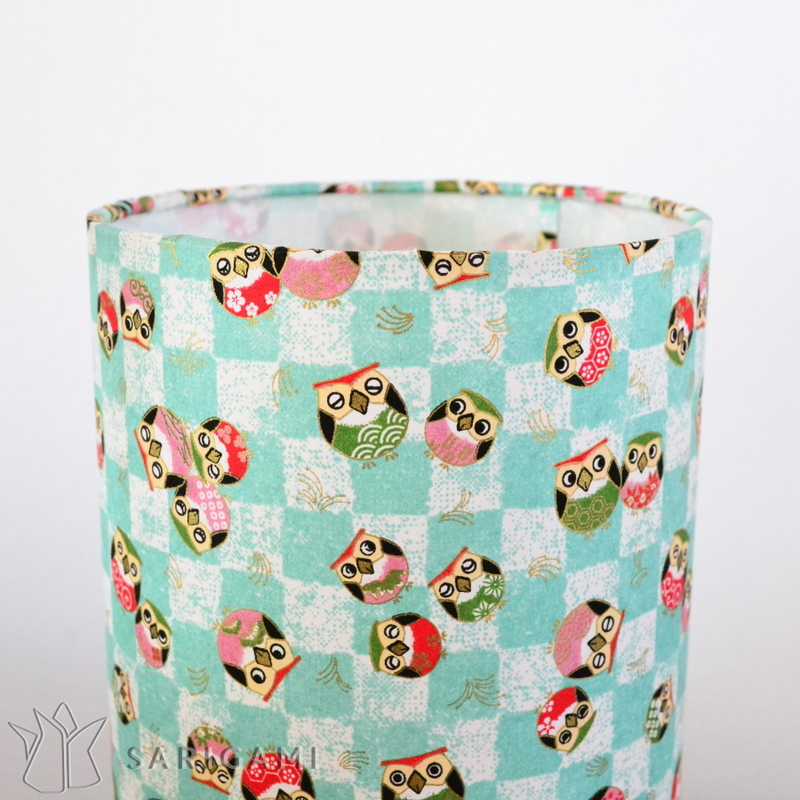 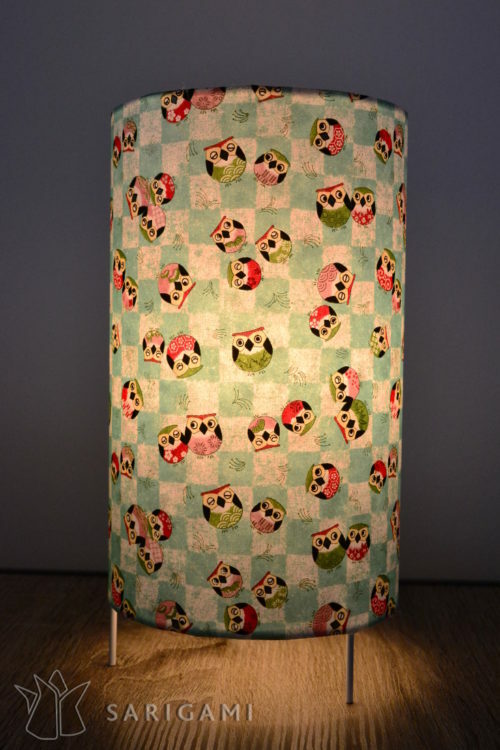 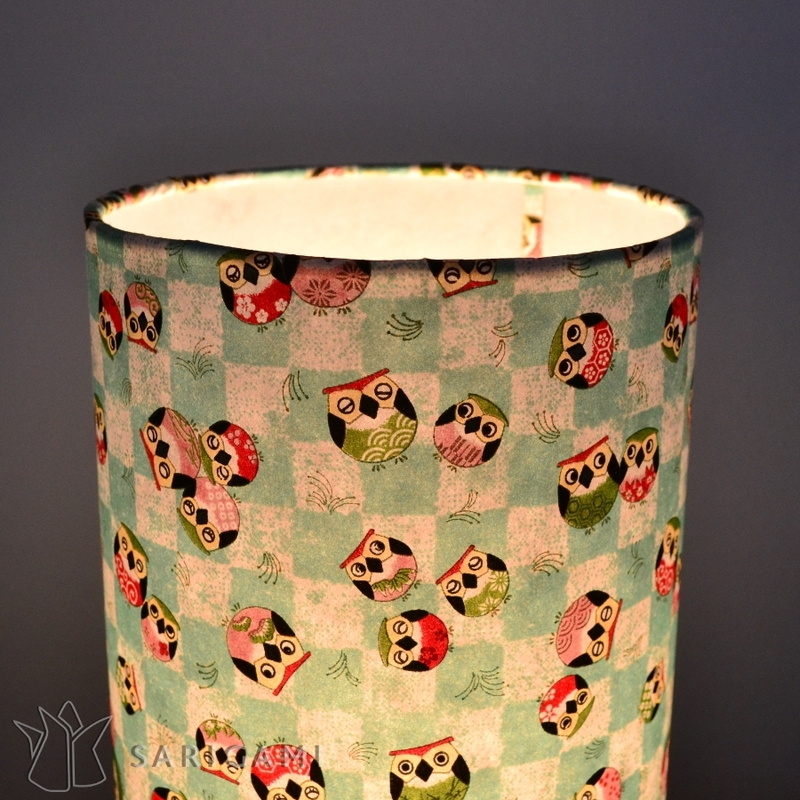 To order a second lamp with this paper or a lamp with the paper of your choice, click here.